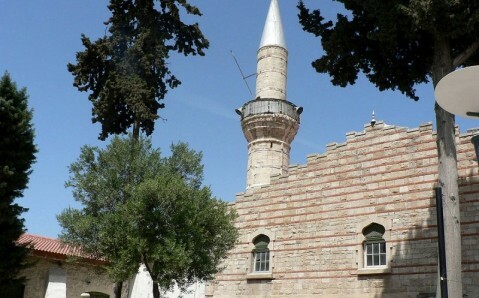 The white-stone Kebir-Jami Mosque amazes with its splendid strictness and reckons among the most notable architectural monuments, built in Crimean Khanate times, that survived on the peninsula. 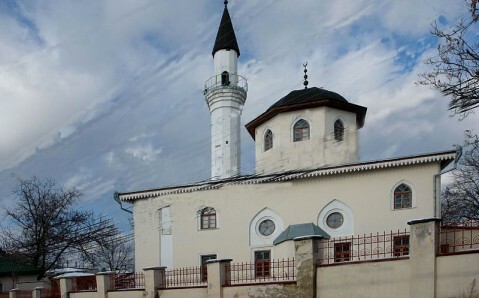 Built in the early 16th century, it has a title of the oldest building in Simferopol and still remains the main spiritual center for Muslims, living in Crimea. 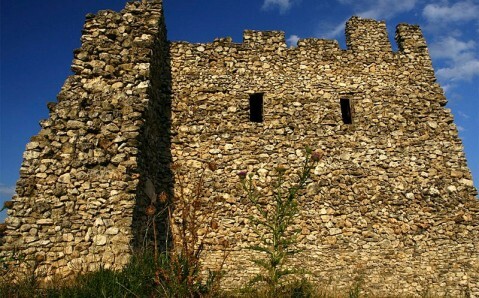 Temple's walls, made from shelly stone, were constantly whitewashed and it made the building look neatly white. 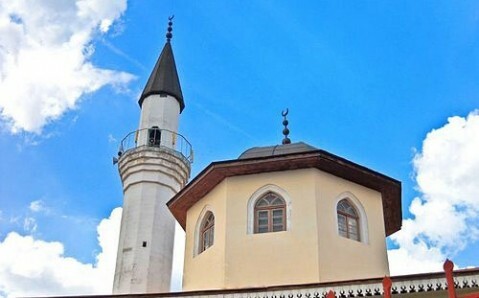 Due to this peculiarity, Kebir-Jami was nick-named Ak-Mosque (Tatar for White Mosque). 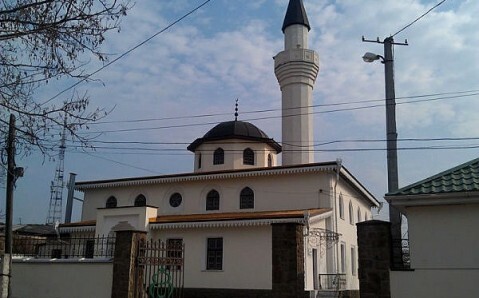 In honor of respected temple, the same name - Ak-Mosque - was given to the medieval town, modern Simferopol's predecessor. 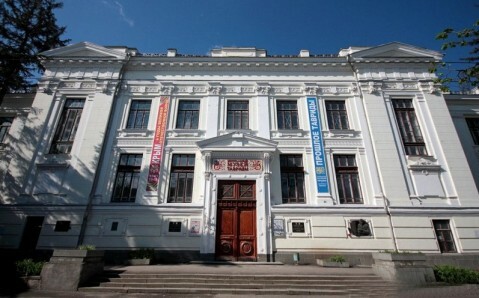 Kalga's (the second man in the state who was busy with Crimean Khanate's military affairs) residence was located here. Orderly Kebir-Jami building looked majestic against the background of medieval town's mostly low buildings. Its imposing forms and soaring nearby minaret were a sort of landmark for local residents. Temple's facades had no lush decorations and were somewhat enlivened only by windows. Architect designed them in two variants: bottom level had rectangular window openings, and top level had round ones. Having survived numerous wars and fires, Kebir-Jami was repeatedly reconstructed later on and lost its historical look. 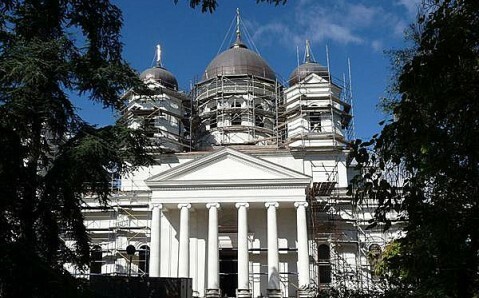 The greatest damage was caused during Soviet times, when the temple was closed. 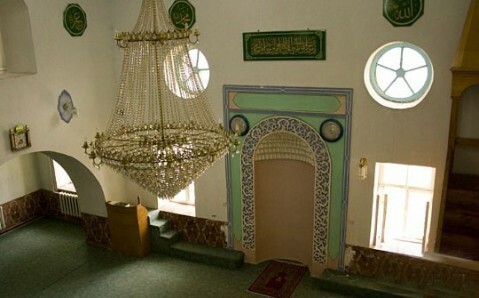 Only in the 90s, when Crimean Tatars began returning on the peninsula, the mosque was reconstructed. Appearance and interiors were restored and approximated to original ones as much as possible. 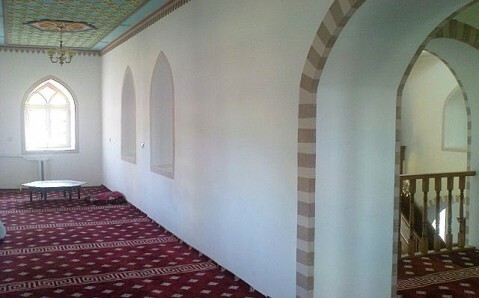 Today the Kebir-Jami Mosque is an important center of Muslims' religious life, and at the same time, it is open for tourist visits.